Some of the most popular products bought by our algorithm are toys for cats. Just sign up and add the keyword ‘cat’ or ‘cat toy’ to get what your feline friend needs in the mail. Over on Instagram I found this great video of Bobcat In A Box subscriber Mu the cat, who is pitching in and opening packages when home alone…. A subscriber sent in this picture of a cat going to town on a stick the bot ordered as a cat toy. ‘Cat toy’ is one of the most popular keyword the bot is shopping for. It gets you tasty sticks like these. It isn’t just cat toys. If you add the keyword ‘cat’ you can get fun products for humans. Over on Instagram menacemaus posted this nice little cat shaped button. Who says the bot doesn’t send out cats in boxes! 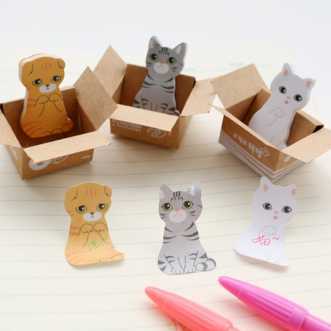 It is one of many cat-themed stationary products that are popular among our subscribers. 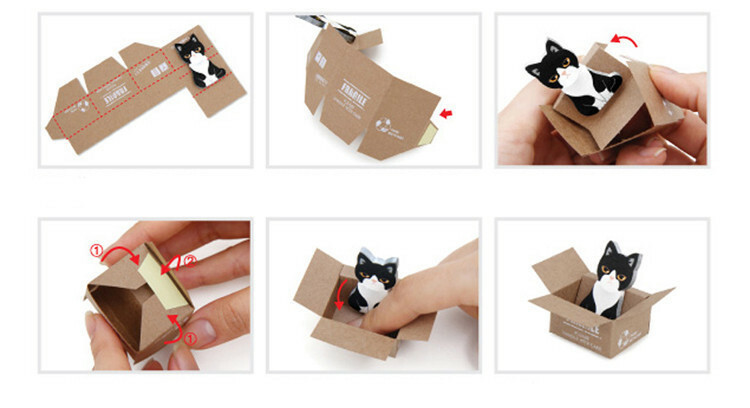 As you can see from the below picture, the cat/box arrives flat and is quickly assembled into a little cat-shaped sticker dispenser!